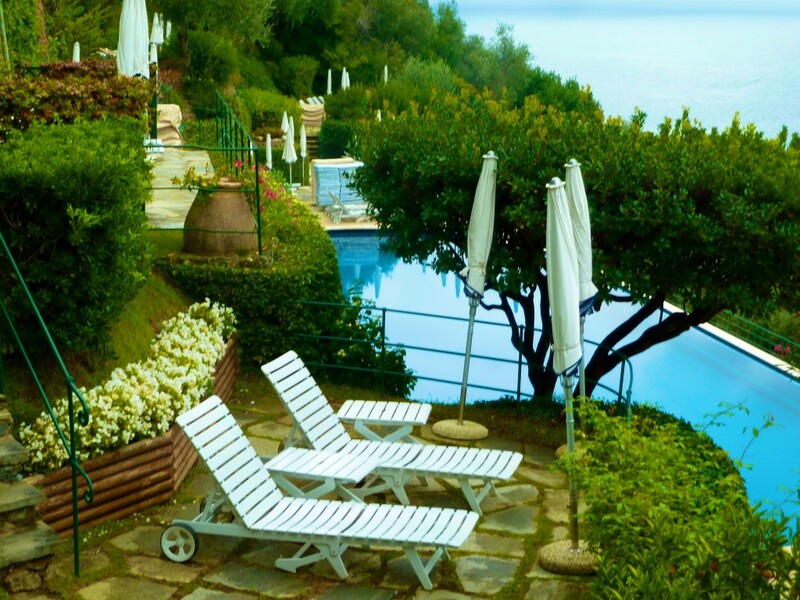 Belmond Hotel Splendido sits perched up on a hill in Portofino with its elegant view of the world in the Italian Riviera. From the many stars above a moonlit ocean to swaying palms overlooking the negative edge pool, it oozes life as “la dolce vita”. 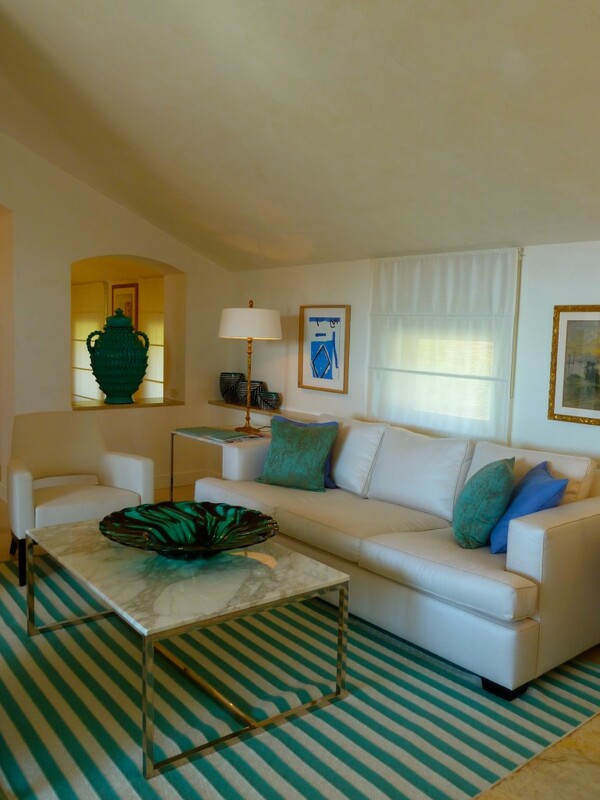 The moment you step on to this amazing property you will fall in love. 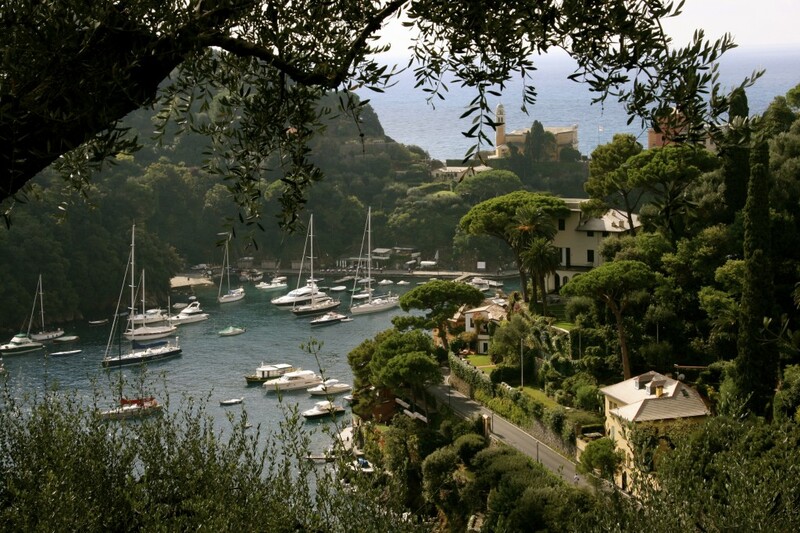 I already have two lovers, but I just couldn’t help myself the moment I returned to Portofino. Even though I had seen this beautiful place before, I kept longing to come back. 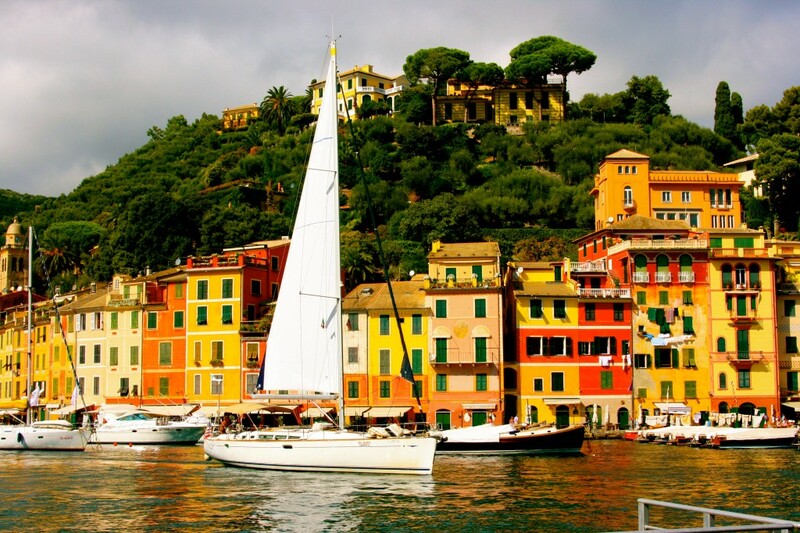 The stunningly perfect Portofino stole my heart. She is what every tiny village in Italy dreams to be. She is elegant and grand. She makes you feel as if you won the lottery! Each step, as I walk down to the village center has an amazing view. Slowly I make my way down from the perfectly situated Hotel Splendido to walk amongst the glamour and the glitz! I peek around the corner of the houses and there she is, in all her glory. 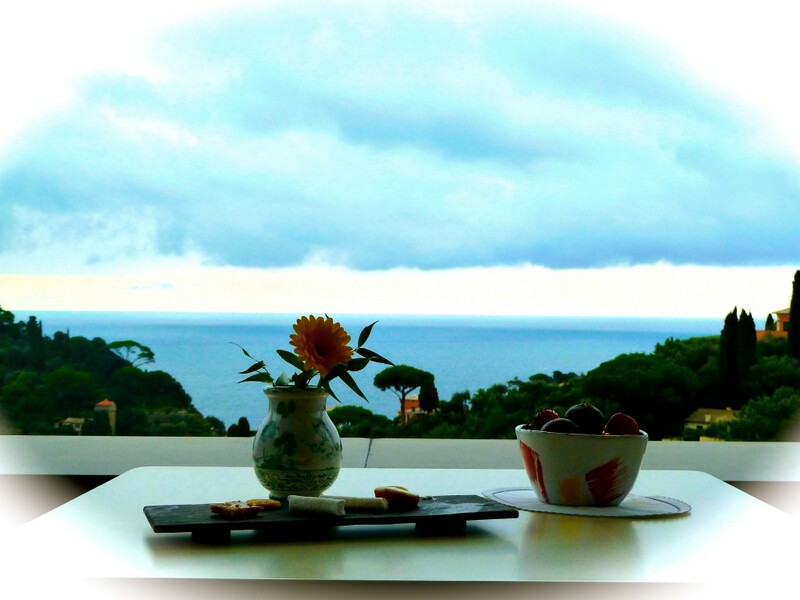 Nothing, and I mean nothing, makes me feel the way Portofino makes me feel! 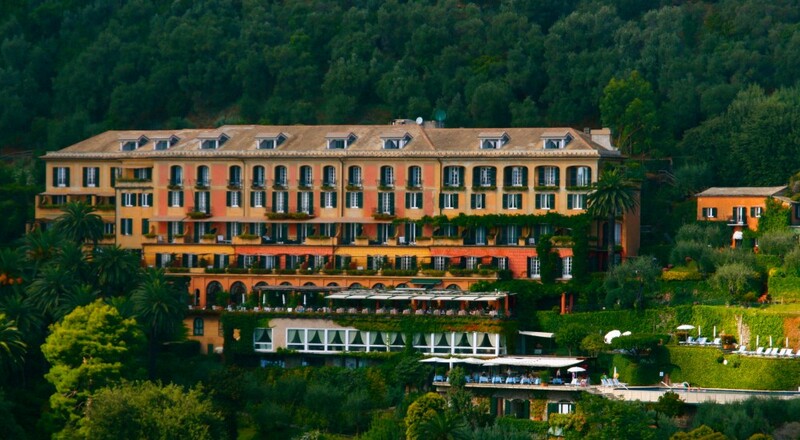 Belmond Hotel Splendido is just one of those places where you feel lucky to have even experienced it. I was so excited to stay at this 16th-century mansion, a former monastery, now known as Belmond Hotel Splendido. I kept pinching myself to believe it could be true! This monastery, in the millionaire’s playground, had opened up its doors to host me in one of its suites, and I was happy to oblige. Historically, the building itself was a Benedictine monastery, later converted into a private villa and then transformed into the now renowned luxury hotel in 1901. This is one of those extra special times when it is appropriate to make a splurge. As a branded “Smart Luxury” travel writer and blogger, I am always trying to get an amazing experience, a luxury experience, at the sweet end of the price deal. While using your miles to fly yourself halfway across the world to Europe for very little, you should have plenty of stash left over to make this experience happen for you and your lover. The way I see it, life is about creating extraordinary experiences, so splurge on this one and treat yourself to this experience, as it is worth it. Landing in Genoa, it is just a short 40 minute Mercedes Benz drive to Belmond Hotel Splendido in Portofino, which is the lap of luxury. You will be in one of the most famous hotels in the world, where the rich boys play and where the old money goes to be noticed, refreshed, rubbed, coddled and dined. There will be nothing to be disappointed in. Everything will be as you wish. It really is as if you have died and gone to heaven. I’ll start out by showing you the gorgeous penthouse suite I stayed in on this trip. 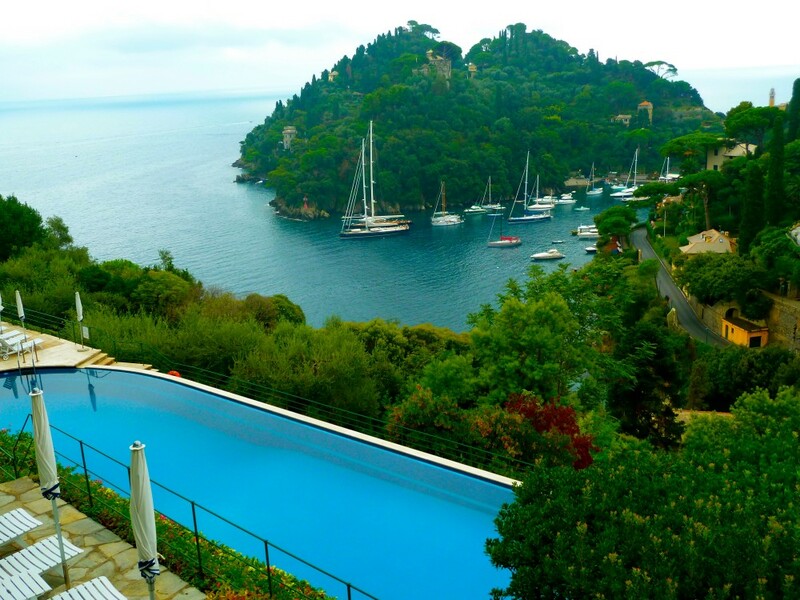 My penthouse suite was #422 at the Hotel Splendido Portofino. 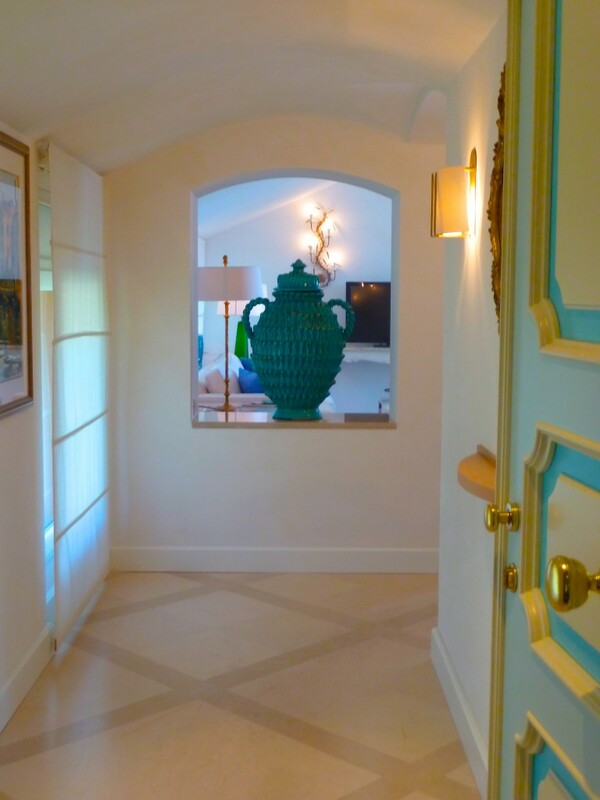 Here is the entryway, with the kitchenette and small table off to the side. The service here was like magic. 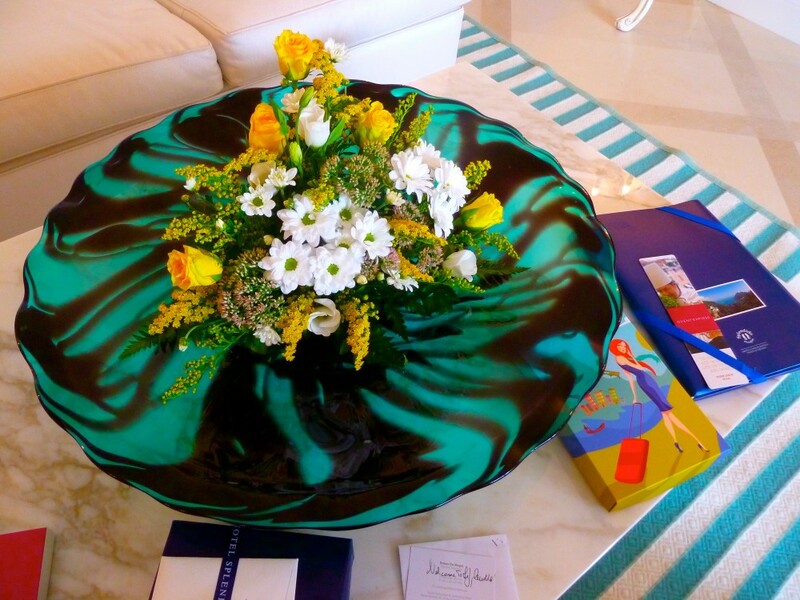 Only moments passed after my arrival when goodies were delivered to the room, everything from flower arrangements and gifts of chocolates and champagne to fruit bowls, wrapped gifts, and fresh still water. One after another, they came and they just kept coming. The turndown service is great too, so don’t pass that up. 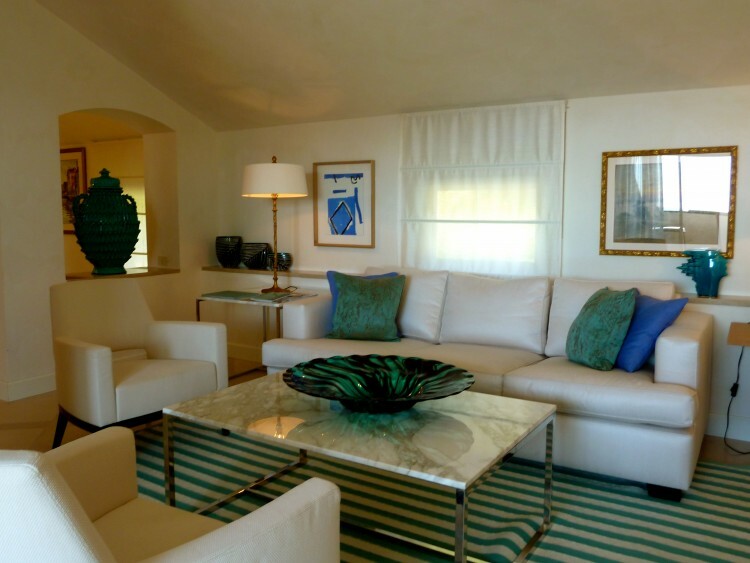 Eyes wide and filled with joy, I just couldn’t believe my fine fortune to stay in such a fabulous suite, which was really an apartment with the perfect décor and expensive vases and accessories dolled out in a white and turquoise motif. And this was just the living area. On to the master closet, which was massive and across from it was the rain water shower with tiny black and silver mosaic tiles, and just a couple of gold tiles that would glimmer in the light as I showered. It had an enormous soaking tub and a vanity for two with all the trimmings one would need to get all dolled up and make it to an eight-course dinner or a wedding. 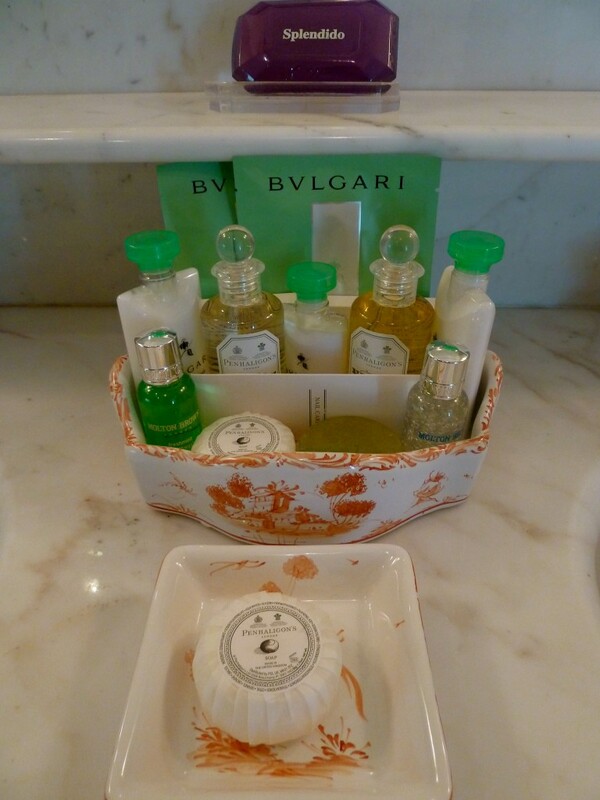 The toiletries were BVLGARI, in mid-sized portions (glee!) with Molton Brown facial wash and large, medium and small round soaps all wrapped like tiny gifts for our pleasure. 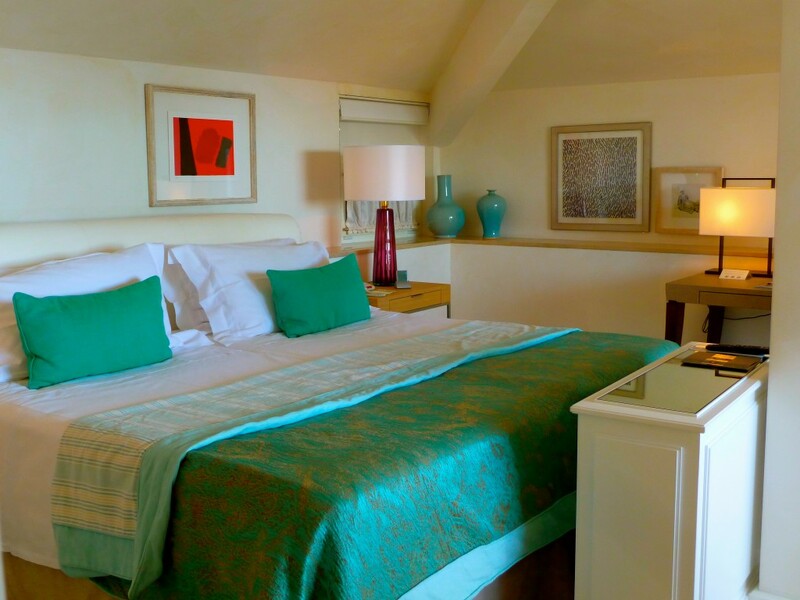 Then it is on to the turquoise and white bedroom with a king-sized bed facing one of the two viewing balconies. It had a shabby chic (French country) motif with a desk that had a special Hotel Splendido white and gold pen and desk writing set along with hand-painted postcards and writing paper featuring the half moon bay of Portofino. Also, there was the most amazing James Bond features of a hidden television and with one button it appeared in front of your bed and a safe was hidden behind a Picasso-like painting! Nothing about this stay or this suite was ordinary, everything was over the top and out of this world. 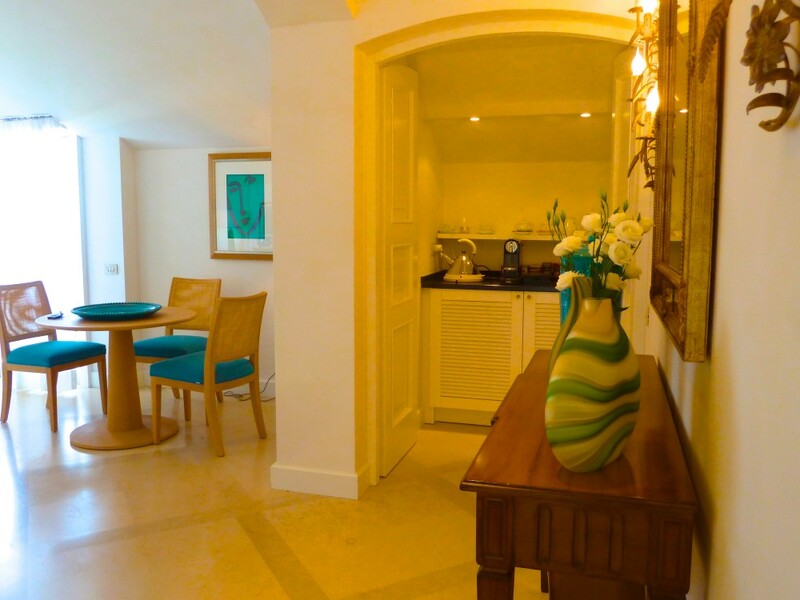 If you are looking for a special place to splurge for a honeymoon, an anniversary, a family visit or just have the financial resources to come to Hotel Splendido, then you need to look no further. This Belmond Hotel will outshine any experience that you have had thus far in the way of luxury accommodations and amenities. They offer the use of their private boat for day excursions in the Mediterranean Sea to places like Santa Margherita, Camogli, and the Cinque Terre region. They also have a kids clubs, dog massages, couple massages, wellness, fitness, yoga, tennis courts and a multitude of other amenities. Just in case you want something very unusual, they also put on weddings (under the ocean at the Christ of the Abyss underwater statue, if you want!). 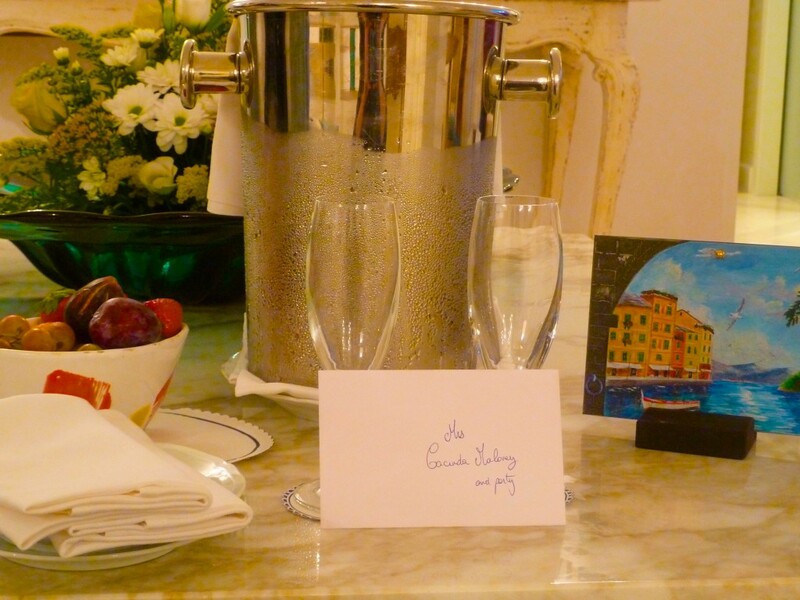 I cannot say enough about the Belmond Hotel Splendido. Everything from the views to the rooms, to the ambiance to the staff, they all were incredible. The pool was immaculate and filled with warm sea water. 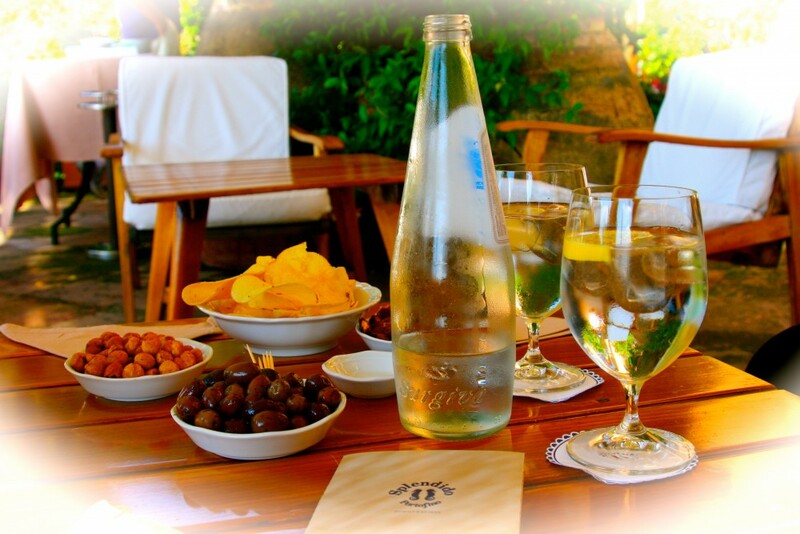 The hotel grounds were inviting with the terrace restaurant and bar overlooking the sea and gorgeous manicured gardens. No other 5-star hotel compares to this one. And don’t even get me started to talk about the food at La Terrazza! After dinner each night, there was a piano player and singer of typical Italian ballads, as well, so you can dance the night away. Belmond Hotel Splendido, I think you are magic! Good night and farewell until we meet again! 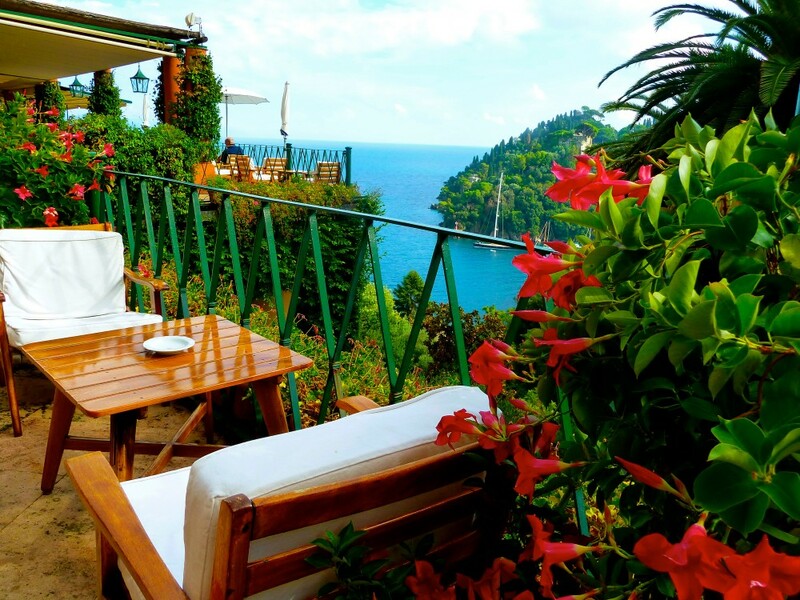 Where: Hotel Splendido, a Belmond Hotel in Portofino, Italy. 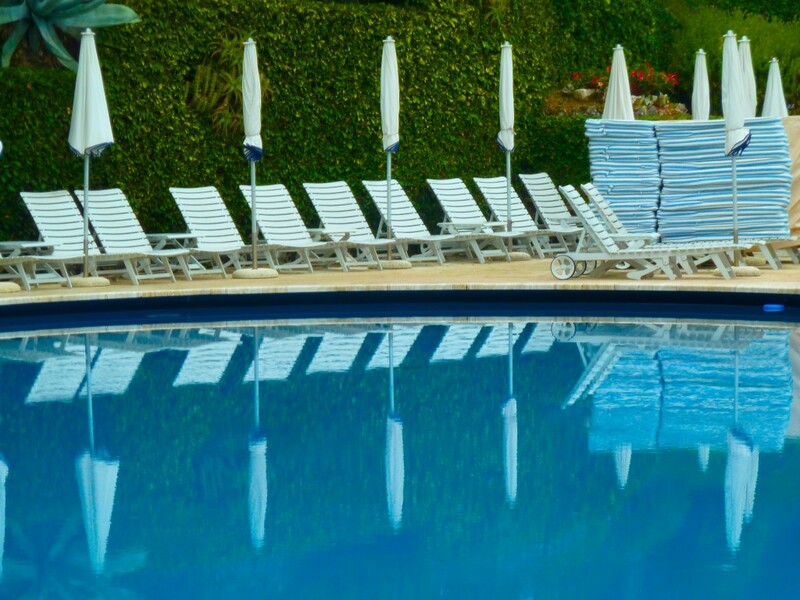 They also have a sister property in Portofino village proper called Splendido Mare. 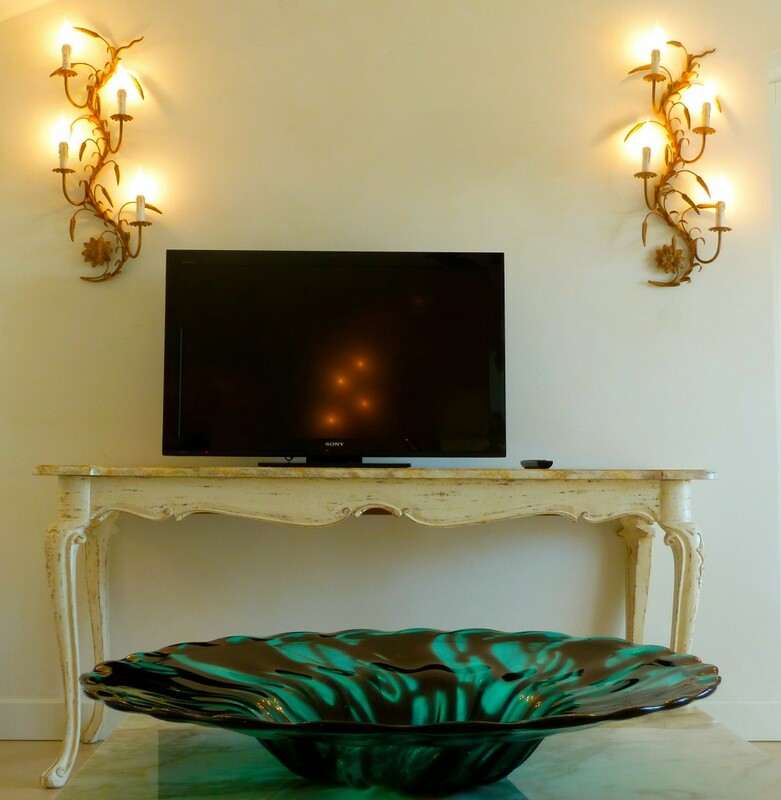 Disclosure: My stay at the sparkling of a gem Hotel Splendido was courtesy of the hotel itself, but the opinions expressed here are entirely my own. GORGEOUS, Cindy. I remember you talking about Hotel Splendido when we were back in Ireland. Had no idea it looked like this ! Yes, It is wonderful! One of the world’s 50 best hotels in the world! What a beautiful hotel in a city that I need to visit! 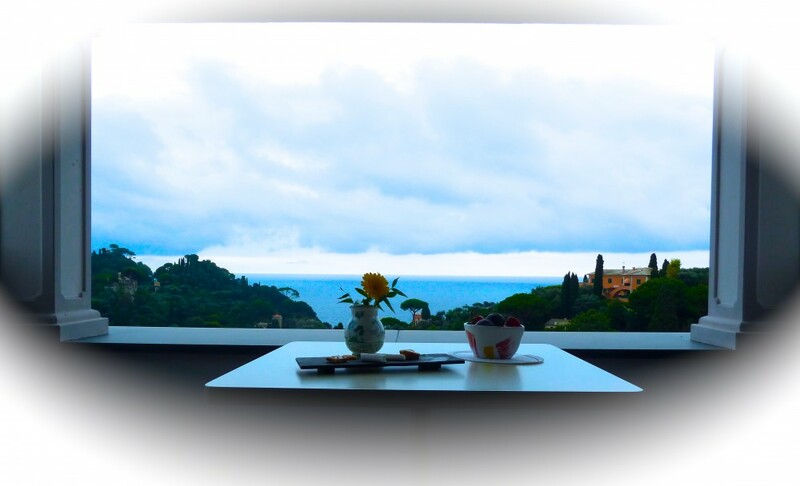 It truly is amazing and “must see” on a trip to the Liguria region of Italy. Definitely looks worth the splurge. I think if you were going to splurge, this would be the place to do it! After having spent a week at a conference in Rapallo a number of years ago, I have no good reason why I never went to Portofino, although I covered the entire Cinque Terre on foot and by rail. The entire area is really a must-see, and for me, it was an introduction to Italy. 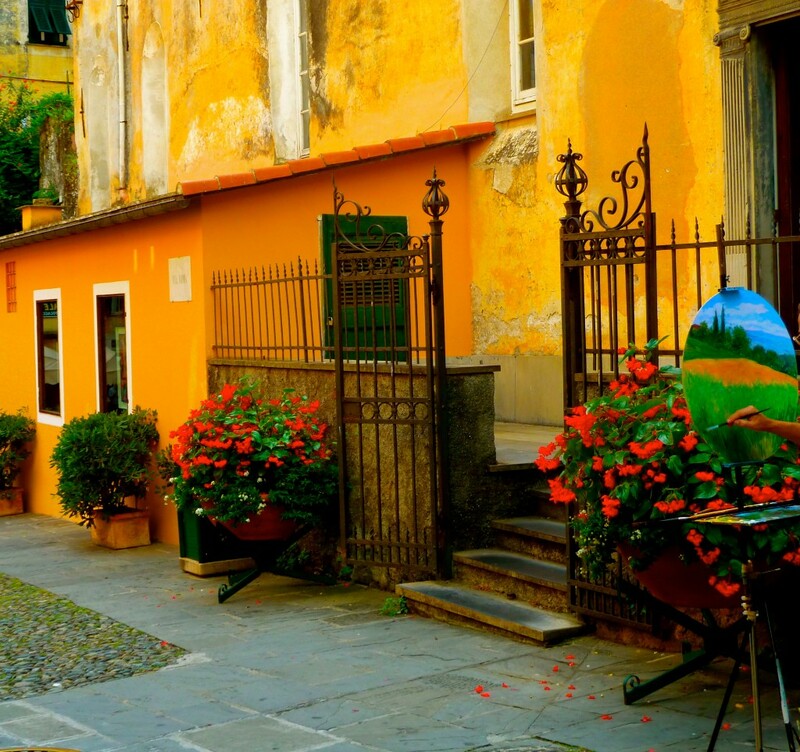 Henry, I really enjoy the Liguria region of Italy. Quite a different experience than other regions, you must go here though, the scenery is spectacular and so is the hotel! This hotel looks like a slice of heaven! It’s on my list now! It truly is! Loved it! Looks lush. I’ll have to file that one away for a future visit! Yes, it is worth a bookmark! Splurge! It is worth it. Omg this place looks absolutely breathtaking! When can I move in to that suite? It looks like you had a great time and I’m so happy you were able to visit. Jenna, you should come with me some time! I love Italy! 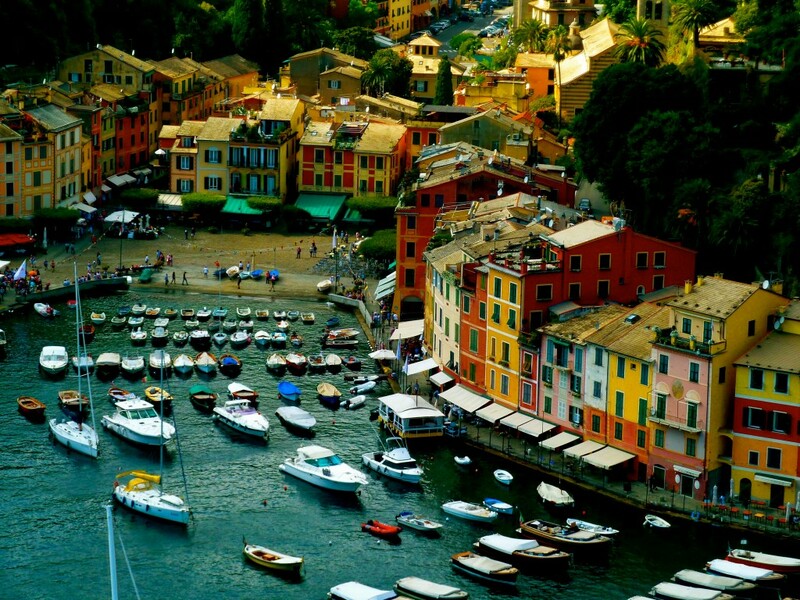 I lived in Italy but I never went to Portofino. Very nice photos, Cacinda! You must go here, at least once!! WOW. That looks pretty divine. Oh Dalene! It was perfection! 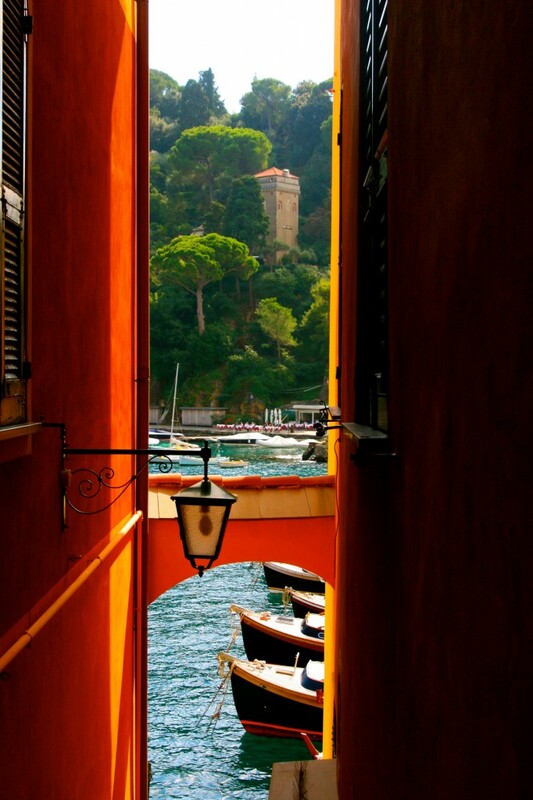 Looks truly stunning–I have never been to Portofino despite being from Venice–one of these days I hope to get there. What? You must go! At least once, you have no excuse! ha! yes , i, know there still are places in italy, that are paradise!!! and this is one of them, ! but the real question is, ! can you really live in portofino, in peace ,with no or very little crime ! what is the real cost of living in paradise?? i’am thinking of moving there and please be honest, it is just to dangerous to live in america any longer ! or even in some places in italy ! thank you! I am not so sure one can afford to live in Portofino, but there are many options in the region, say Camogli or Santa Margherita, both look livable. As far as costs, or crime, I have no idea, but I am sure you can do a google search to find out those things. It would be a great place to live though, even if only for a short period of time! What a wonderful place, Perhaps one day I will have the chance to visit it.